Sheryl Johnson provides powerful strategic networking programs designed to provide immediate value. Her dynamic and compelling presentations and workshops motivate audience members to take immediate action. Her engaging and interactive delivery makes it difficult to fall asleep, so get ready for programs that will refresh and revive your networking strategy. 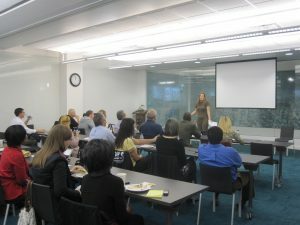 All programs and speaking engagements are customized to meet the unique needs of each audience. 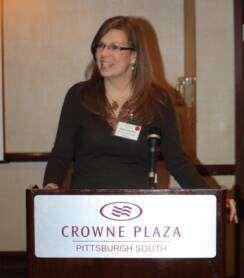 Speaking engagements include the Women’s Conference by Congressman Rothfus, Chatham University, Coro, Penn State Alcoa, Pittsburgh Technology Council, Women in Bio, various Chambers of Commerce, Biz Chicks, Ellevate, BIG (Believe, Inspire, Grow – Women’s Empowerment & Entrepreneur Organization), CREW (Commercial Real Estate Women), Mom’s Conference, Coaches Association, SCORE and more. Don’t Just Collect Contacts, Engage Them! Custom speaking engagements upon request. Call 412-527-1871 to discuss your needs. Most business professionals embrace networking in some way, but most are not doing it strategically in a way that drives optimal results. Learn the 5 critical steps in building a strategic networking plan that will result in developing more meaningful and profitable business relationships. With over 530 million users, LinkedIn is a great way to engage with key contacts while building your professional network. LinkedIn also has valuable networking benefits that can be seamlessly integrated into current marketing programs to increase visibility in the market resulting in very lucrative business and sales opportunities. Learn how to use LinkedIn to share your expertise, demonstrate your thought leadership, increase your credibility and ultimately drive people to your website or to contact you directly. Takeaways: This workshop will uncover the 4 ways to boost your LinkedIn presence for maximum results. The Elevator Pitch is outdated. Everyone talks about delivering the perfect elevator “pitch”, but what does that really mean? It sounds so self-serving. Probably because it can be. Most people love to talk about themselves or their business, but don’t make that outdated mistake. In today’s business world, relationships are the center of any business transaction and to cultivate the most effective relationships your focus should be on how you can help bring value to the table so you are remembered and seen as a valuable resource.